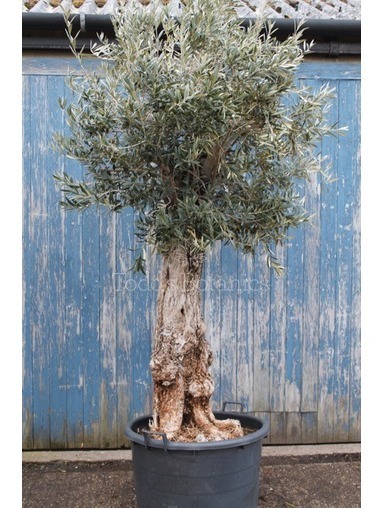 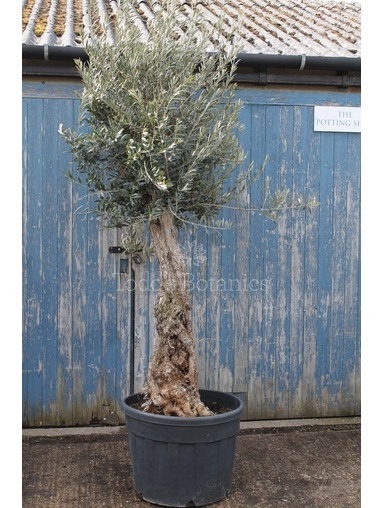 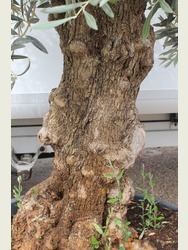 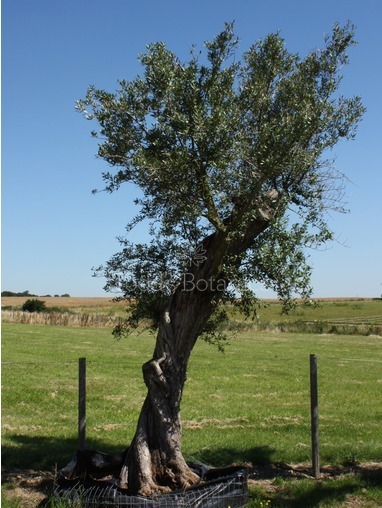 We have a wide selection of hardy olive trees for sale, from young specimens to large ancient, gnarled olive trees. 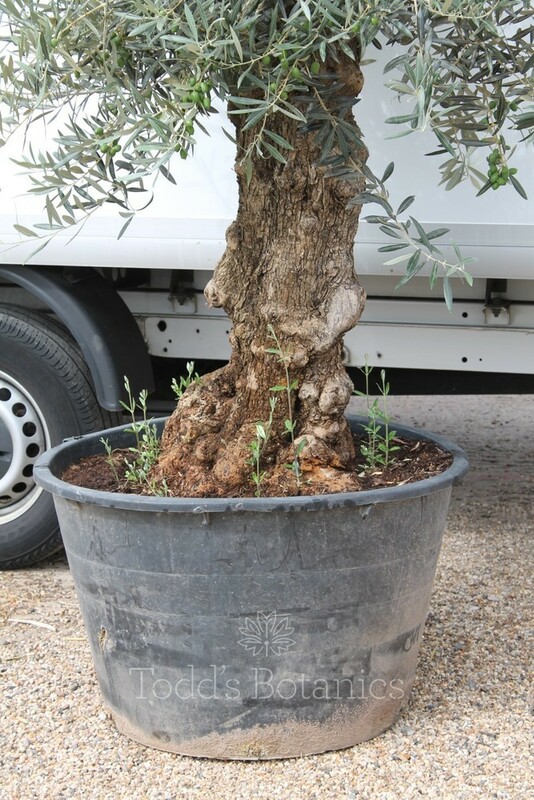 Our hardy olive trees are all hand-sourced from the mountainous regions of Valencia, meaning they are very used to a cold environment during the winter. 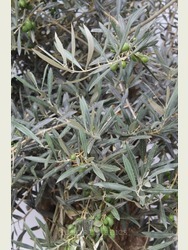 Larger varieties are able to withstand temperatures comfortably to around minus -15c and below. 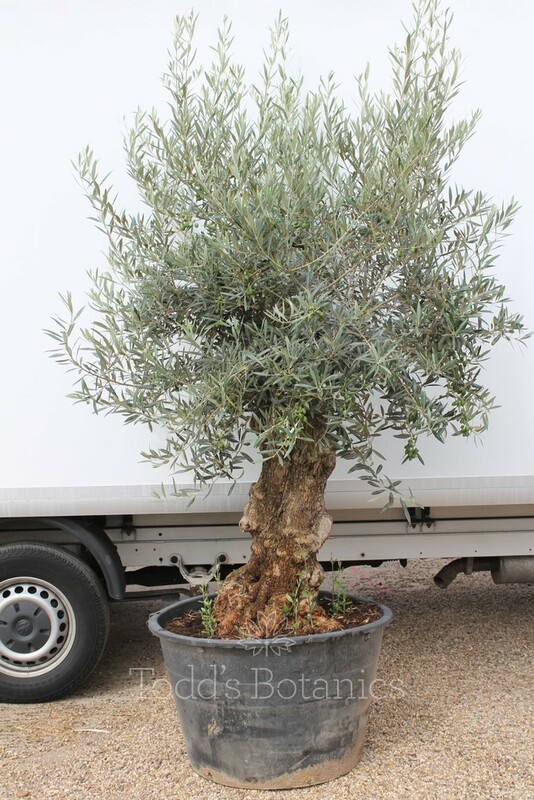 Olive trees are immediately reminiscent of the Mediterranean, they are evergreen with lovely pale grey-green foliage and tiny fragrant, cream flowers followed by olives in the summer months. 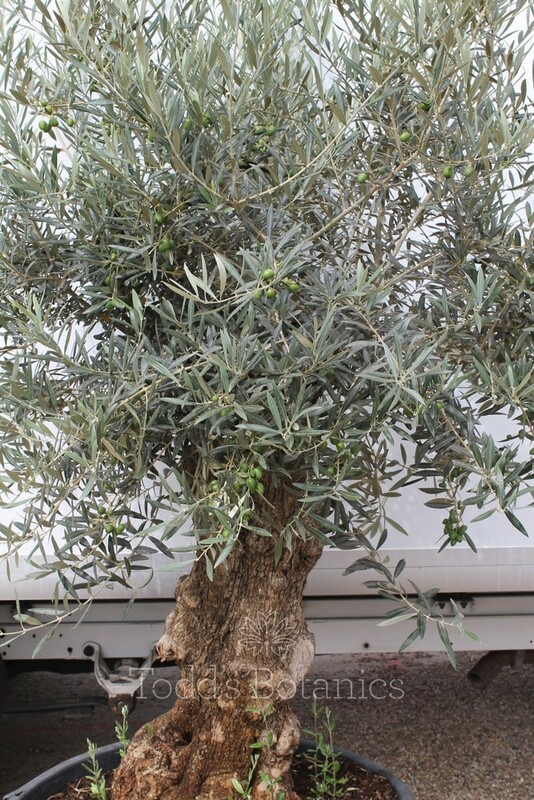 The olive tree thrives in full sun, prefers free-draining soil and can cope very well with the wind, even salt laden winds at seaside locations. 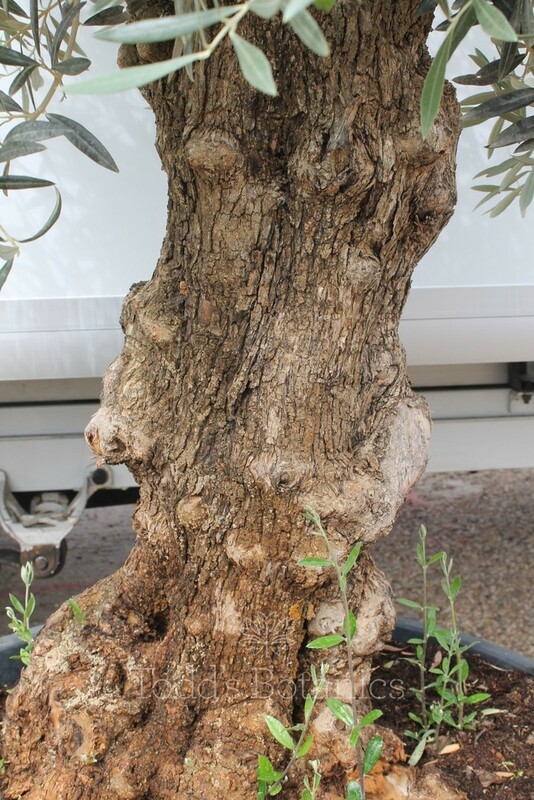 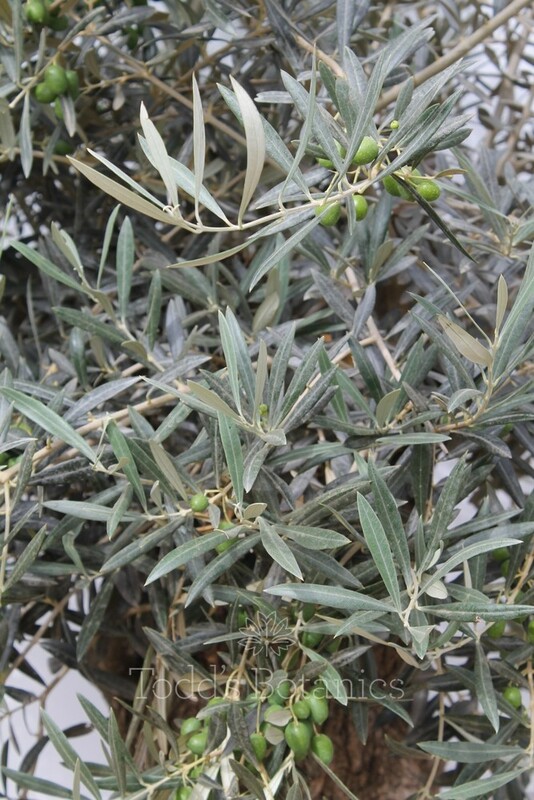 For more information on olive tree winter care, feeding, pruning, watering and avoiding pests and diseases read our detailed olive tree care notes <http://www.toddsbotanics.co.uk/c/care-notes/care-note.htm> . 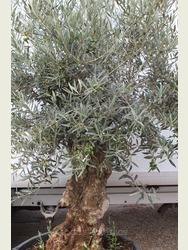 We dispatch a printed copy with every order. 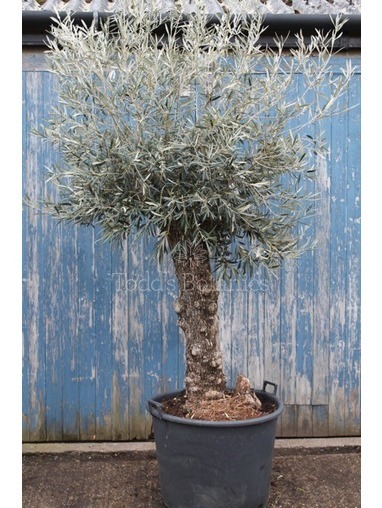 Please note: this olive tree will be delivered by pallet to kerbside. 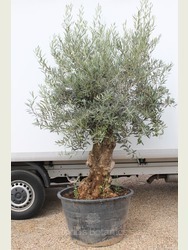 If you wish for a personalised delivery service please get in touch. 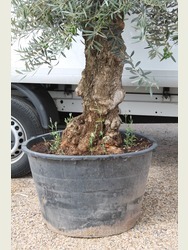 If you would like to find a suitable pot or planter for any size of olive tree, we recommend http://www.vasotoscano.com/ for beautiful terracotta pots.